The collection was donated to the University by the estate of Karl Greenwood Miller in 1987 (accession number 1987: 19). The folders of this small collection are arranged alphabetically. The materials are arranged chronologically within each folder. Karl Greenwood Miller was born on May 25, 1893 in Salem, Virginia to Mary Sherman Miller and Charles Armand Miller, then Assistant Professor of Greek and Pastor of the College Church at Roanoke College. Graduated from the High School of Charleston, South Carolina in 1911, Miller completed his freshman year with honors at the College of Charleston. He transferred to the University of Pennsylvania in 1912 as a member of the Class of 1915. Dr. Miller earned accolades and awards throughout his professional life. 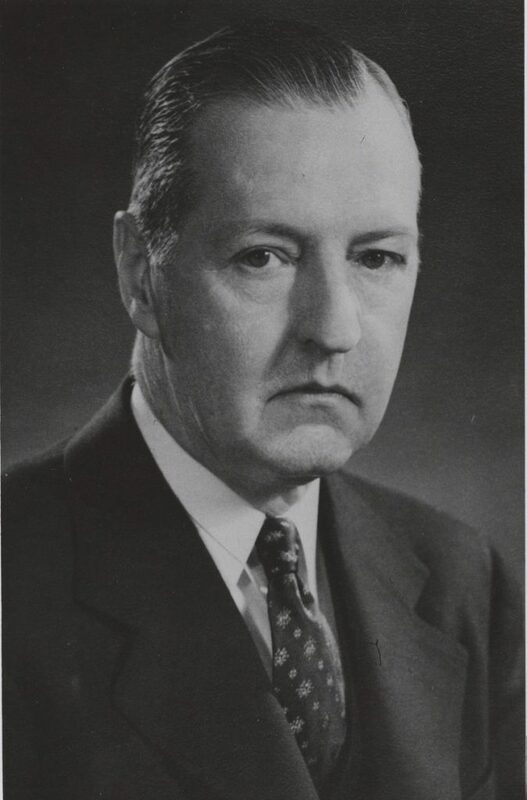 He served as the secretary of his Class of 1915 and was awarded the University General Alumni Society’s Award of Merit in 1950 for his outstanding continued service to the University. He was given the spring semester of the 1924-25 academic year to organize Penn alumni in the Rocky Mountain and West Coast areas in connection with the University Fund campaign, Penn’s first attempt at a modern fundraising campaign. He also remained dedicated to Penn athletics, and in 1958 was awarded the Varsity Club’s Award of Merit for being “Penn’s Number 1 Sports Fan”. It was reported at the time that Miller had been a season ticket holder ever since he began his undergraduate studies at Penn in 1912, missing only the year 1918, for an incredible 46 seasons. Dr. Miller also helped established the Father’s Trophy, which is awarded annually to a senior girl who shows excellence in athletics, scholarship, and service. A longtime supporter and fan of the Mask and Wig Club, Miller was made a [board?] member in 1957. The majority of the documents within this collection were generated during Miller’s time as a member of the faculty of the Psychology Department and as a University administrator. The first folder of correspondence pertains to Miller’s honorary degrees conferred upon him by Muhlenberg College and Beaver College. The folder of miscellaneous correspondence mostly pertains to Miller’s resignation and retirement from the University. The record book and two folders of lectures were all generated as a result of Miller’s faculty position. There is also a large document called the Resolution of the Class of 1915. This document is not dated but seems to have been given to Miller by his Class of 1915 classmates decades after their graduation. Two pieces of material that date from Miller’s time as an undergraduate student are included in this collection. One piece is his Class Day 1915 booklet. The other piece is a rather large scrapbook of photos, athletic schedules and tickets, event brochures and programs, and illustrations of various University buildings. There is also a small amount of memorabilia pertaining to Miller’s one year spent at the College of Charleston included in the scrapbook. Photographs, c. 1925, c. 1936, n.d. Resolution of the Class of 1915, n.d.